Simple is no longer “simple.” Nearly two months after an upgrade to its systems and infrastructure, online banking service Simple is still recovering from a series of glitches that have affected every aspect of money management from bill payments to being able to see a correct available balance to refund delays, credits appearing as debits, and much more. 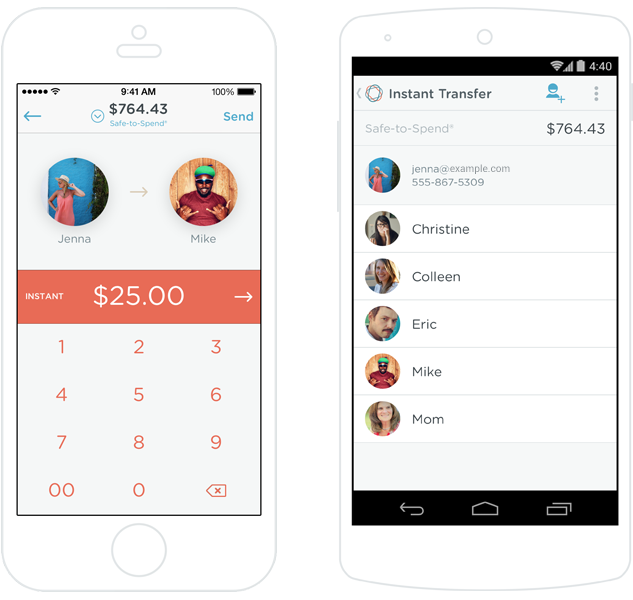 The startup built an updated front-end focused on improved web and mobile banking. It has some clever features, like being able to move money into “goals” that deduct funds from a “safe-to-spend” balance. The company was later acquired by BBVA for $117 million but has continued to operate separately. And like most startups, it has faced some challenges. Consumers today are fairly forgiving of apps with bugs, as long as those issues are acknowledged and addressed in a reasonable amount of time. But when the startup dealing with bugs is your bank (or more correctly, the way you access your bank account – Simple’s accounts are actually held at Bancorp Bank), users may be less forgiving. Things started off poorly for Simple when the scheduled maintenance window for the August “2.0 upgrade” went longer than expected. But that’s not so uncommon – and Simple communicated the problems during the event, which locked some users out of their accounts for as long as 24 hours. Given my experience banking with a small, community bank prior to Simple, I’ve seen maintenance windows of this length before, so while the issues were disconcerting, they weren’t completely out of the ordinary. What has been difficult, though, has been every day since Simple came back online. Initially, a host of bugs were left unaddressed, including — critically — bill pay. The problem became so bad that Simple began crediting its angriest customers $50 to make up for the problems, which The Oregonian determined equalled roughly $600,000 in payouts. While the vast majority of Simple’s issues – like card downtime – were resolved within the 24-hour maintenance period, some customers (like myself) continued to have problems. Some of these problems were one-offs, while others were more widespread, and were related to things like customers’ individual spending or balances, Simple told me at the time. I personally experienced issues with the “safe to spend” amount showing incorrectly, duplicate payments, slow refunds, numerous display issues, and an overall, fairly broken bill pay system. I’m not alone. My bill payment issues were chalked up to a change to a new bill pay provider, said Simple. Because my bill payments never appeared to process — at least on the front-end — I deleted them and then re-added them in an attempt to get them to go through, as advised. I even had to delete the bill payees themselves and start from scratch. And yet, they still failed. Making things even more confusing, during this time, the web and mobile interface showed different views of what was going on. In the end, some of my bill pay recipients ended up receiving three checks from me, causing a good deal of confusion. I had to explain the problem, and inform them which of the three checks had not been voided. In September — now weeks after the upgrade — bill pay still had problems. For example, a scheduled payment was showing as being extracted on “null” instead of an actual date, which Simple’s customer service explained was a “purely cosmetic” display error. Bill pay was functional, I just couldn’t tell because of the way the information was displayed on the screen. In another instance, a credit I received from a merchant appeared as a debit, which Simple corrected by offering a courtesy credit so my balance and “safe to spend” amounts would show correctly. And the original refund itself was so delayed that I had assumed the merchant forgot to process it. Wait, so for two months, Simple wasn’t even showing customers how much money they actually have in the bank? Isn’t that, like, one of the most important aspects of online banking – an easy way to see your current balance? And yet, this is only one of many ongoing bugs Simple is still dealing with, including (as per a list provided to Simple customers upon login): check hold display issues, payment issues (not appearing in scheduled activities), merchant refund delays, and bank statement delays. Simple is a broken bank and failing to live up to the promises made by its name. While the interface for the new mobile apps, Simple 2.0, is nice enough, the underlying system is clearly damaged. Simple has had staff “working around the clock” since the problems began, but the trickle-down effect is that a lot of things that once made Simple great are now no more. You can’t trust what the screen in front of you tells you, you’re unsure if basic banking processes are functioning, and Simple customer service – the great feature that offered real humans chatting with you via web and mobile messages and the phone – is now so overworked that messages are no longer responded to the same day, as before, and other customers are stuck on hold. With its many troubles, Simple’s bigger vision will suffer. The company wanted to offer customers more detailed spending analysis, charts and graphs – something that sounded like Mint combined with a bank. (Even Mint took notice.) With Simple 2.0, the company improved Goals and offered more details for individual transactions, but many of the changes were cosmetic: a new look-and-feel, a “favorites” function, new navigation, etc. There is a lot that could still be improved when it comes to banking, including not just an analysis of spending that has taken place, but real-time alerts that stop you from over-spending in real-time, or alerts remind you about budget goals, for example, asking you to contribute. Analysis is just step one, recommendations should follow. But these sorts of things can’t be addressed until Simple can fix its core problems. And there seems to be no ETA on that.